Before completing the Registration Form, please ensure you have read the Data Privacy Statement. Early bird Registration Fee for all participants (non-European Sociological Association (ESA) Members, from countries in category Band 1)*: EUR 200. Early bird Registration Fee for European Sociological Association (ESA) Members: EUR 150. Registration Fee for all participants from countries with a low gross national income (countries not in Band 1): EUR 150. Early bird Registration Fee for Students: EUR 125. Registration Fee for Freelance Artists: EUR 125. Late Registration Fee for all participants (non-European Sociological Association (ESA) Members, from countries in category Band 1)*: EUR 225. Late Registration Fee for European Sociological Association (ESA) Members: EUR 175. Late Registration Fee for Students: EUR 150. (* Band 1: Andorra, Antigua and Barbuda, Aruba, Australia, Austria, Bahamas, Bahrain, Barbados, Belgium, Bermuda, British Virgin Islands, Brunei Darussalam, Canada, Cayman Islands, Channel Islands, Chile, Croatia, Curaçao, Cyprus, Czech Republic, Denmark, Estonia, Faroe Islands, Finland, France, French Polynesia, Germany, Gibraltar, Greece, Greenland, Guam, Hong Kong SAR/China, Hungary, Iceland, Ireland, Isle of Man, Israel, Italy, Japan, Korea, Rep., Kuwait, Latvia, Liechtenstein, Lithuania, Luxembourg, Macao SAR/China, Malta, Monaco, Nauru, Netherlands, New Caledonia, New Zealand, Northern Mariana Islands, Norway, Oman, Poland, Portugal, Puerto Rico, Qatar, San Marino, Saudi Arabia, Seychelles, Singapore, Sint Maarten (Dutch part), Slovak Republic, Slovenia, Spain, St. Kitts and Nevis, St. Martin (French part), Sweden, Switzerland, Taiwan, Trinidad and Tobago, Turks and Caicos Islands, United Arab Emirates, United Kingdom, United States, Uruguay, Virgin Islands (U.S.)). Local participants interested in attending, should send an email to the Conferences and Events Unit. 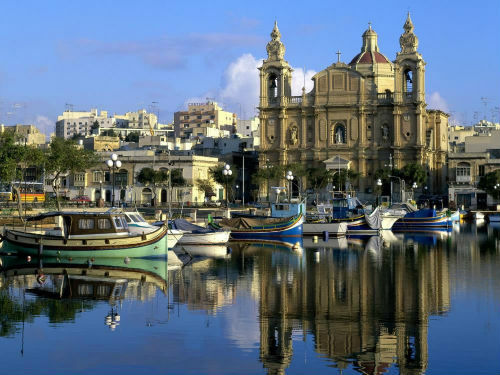 Registration fees include: Conference pack, 2 light lunches, 6 coffee breaks, WiFi access, Maltese buffet on 4 September 2018 (Accompanying Persons: EUR 30). Price: EUR 55 per person. Dinner in Birgu including ferry crossing from Valletta and transport. (Min. no. of pax: 17). Price: EUR 50 per person. Dinner in Mdina including transport. (Min. no. of pax: 17). Cancellation Policy: No refund after 31 July 2018. Access the online booking form here.